The Hawker, no it’s not the guy walking around spitting all the time. 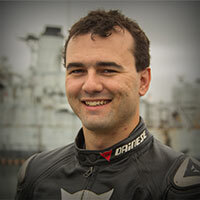 This is the newest multi season jacket offering from Dainese. It’s a great looking jacket with some pretty sweet features to keep you going in all conditions. The Dainese Hawker D-Dry Jacket has some pretty sweet features which make it a standout in the plethora of other options out there. Euro fit and Euro styling along with some great versatility make it a great option for multi season use. With a waterproof drop liner and removable thermal fleece liner (which can be used as a standalone jacket) you can mix and match according to what the weather throws at you. The more aggressive euro styling fits many riding styles from aggressive sport riders to power cruisers and touring guys. 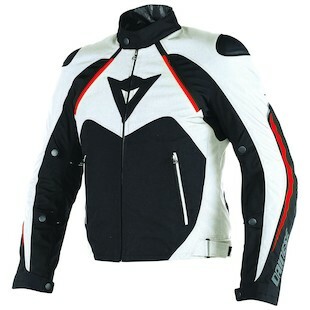 Dainese has done a nice job with subtleness of the logos and badging so it does not scream “I love Dainese” which really who doesn’t but that aside the jacket has a style that will work for lots of people. Three color options make matching it to your ride easier as well. In usual Dainese fashion Removable composite protectors are rated to the EN 1621.1 Standard and will accept a G1 or G2 back protector. If you are in the market for a well styled jacket for 3 season use the new Hawker from Dainese should be on the list for consideration. Keeping you dry, warm, and safe for anything the road throws at you. Don’t be the guy hawking loogies, be the one wearing a Hawker jacket.